It’s a wrap for Anthony Daniels on Star Wars 9. 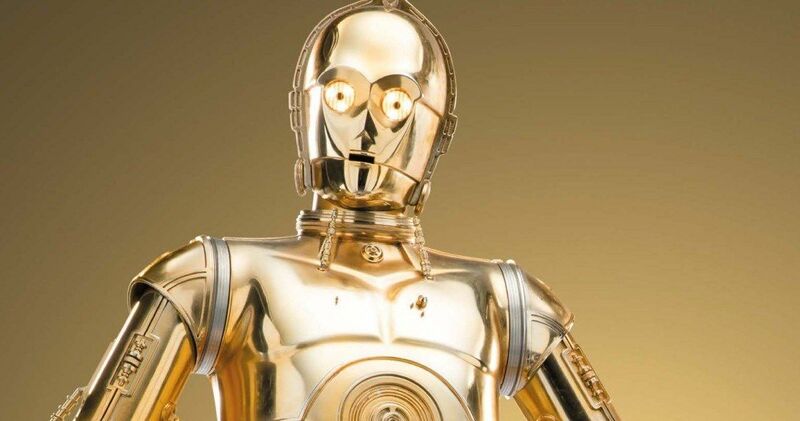 The iconic C-3PO actor has the rare distinction of being in every single installment in the Star Wars franchise since the beginning. The gold droid has been treated like garbage and torn apart, treated like a god, and taken the backseat in more recent times. While we don’t know a whole lot about what is going to happen in Star Wars 9, Daniels promises that it will be more than worth the wait. It looks as if J.J. Abrams is starting to finish up filming on Star Wars 9. The highly anticipated final chapter in the Skywalker saga has been in production since August, taking only brief breaks for the holidays. Now that C-3PO has gone home, one can imagine that plenty of the other actors are done with their work too. Anthony Daniels announced that he finished with a touching goodbye message. He had this to say. It has not been confirmed, nor really talked about, but Star Wars 9 could mark the last time that we see C-3PO on the big screen. J.J. Abrams is reportedly working on the movie that will end the Skywalker saga and future movies will take place outside of the universe that we’ve been in since 1977, beginning with A New Hope. The Last Jedi director Rian Johnson is developing his own project and Game of Thrones showrunners David Benioff & D.B. Weiss are working on their own project too. While Anthony Daniels might not be back as C-3PO in the future, he can still appear in future Star Wars projects as another character. For instance, Daniels was not the iconic golden droid in Solo: A Star Wars Story. Instead, he played a new character named Tak. So the possibilities are endless for Daniels as the Star Wars franchise marches on with new characters and stories. It’s going to be very interesting to see where Disney and Lucasfilm take the franchise after Star Wars 9 hits theaters without the base of famous characters. The official title for Star Wars 9 has yet to be revealed and many fans were hoping that it would be announced this week ahead of the Super Bowl. However, it doesn’t look like Disney is planning on releasing a trailer or teaser in time for the big game, which makes sense. The studio really doesn’t need to use the huge ratings of something like the Super Bowl to promote one of the most anticipated movies of 2019. While we wait for more information, you can read C-3PO’s goodbye below, thanks to Anthony Daniels’ Twitter account.